Here are Paul and Barbara Schwarz are at the Rotary Club of Puno, Peru, March 23, 2006. "We are now in Puno, on the shore of Lake Titicaca. Definitely the high point of the trip at over 12,000 feet. 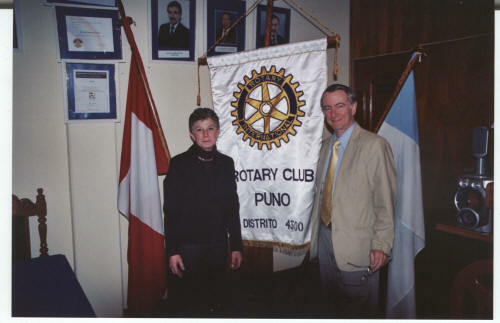 Also a high point as we attended a Rotary meeting last night and were warmly welcomed. This is a very poor area and this small club is engaged in several excellent projects. They do not have flags but gave us pins. It was an 8pm meeting followed by drinks - not dinner which we expected. A little different, but wonderful to be able to walk into a room so far from home, be welcomed, and find so much in common. "It was an 8p.m. 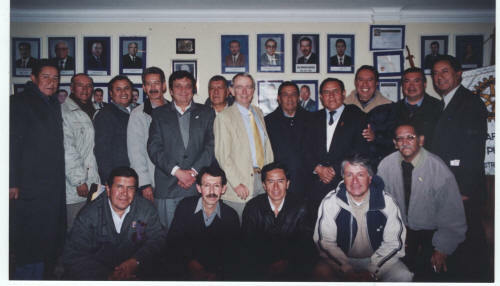 meeting of about 20 men. The main order of business was the election of officers. We presented the RCWP flag, and received Rotary pins. We were warmly welcomed. "I hope to have our Club make a donation to their effort to equip underfunded local schools with needed equipment. I am corresponding with them. and will bring more information to a meeting. 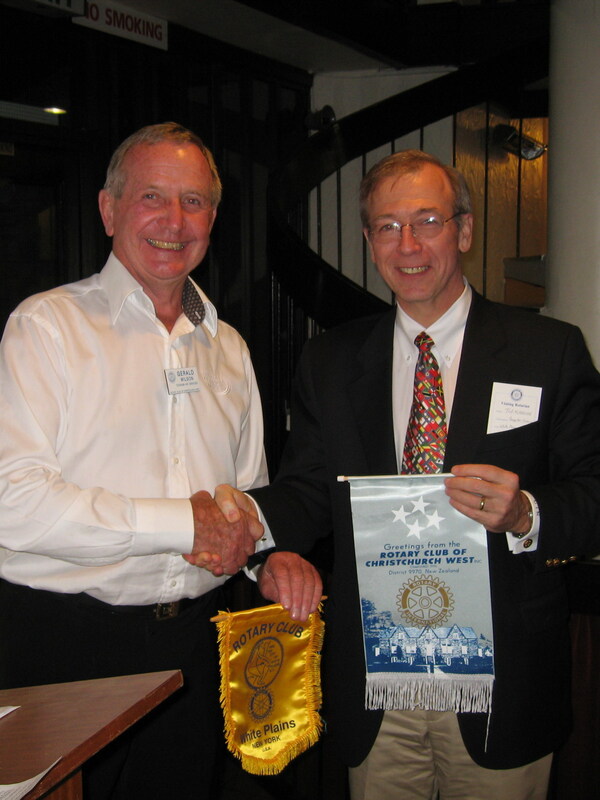 "Thanks again for getting me involved in Rotary! 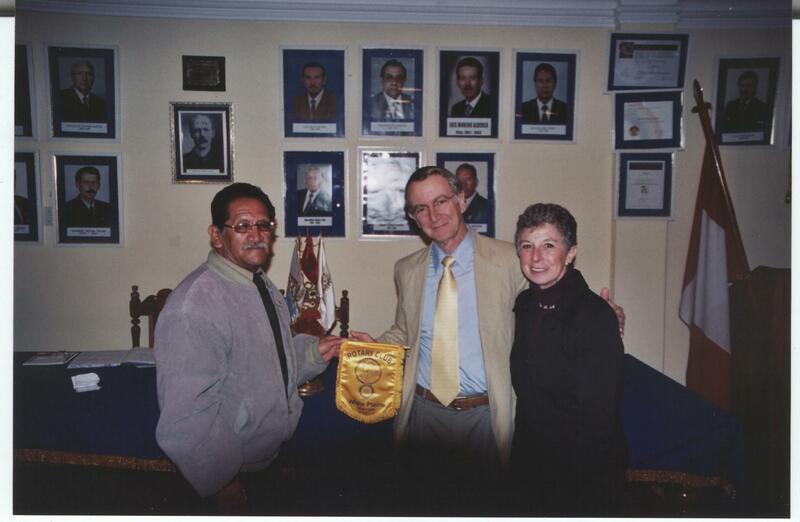 How happy I am to be a part of a worldwide organization like this."